The Rev. Canon Edward Rodman, center, was honored by the Union of Black Episcopalians during the UBE's annual conference in Cincinnati in 1987. Making the presentation was the Rev. Franklin Turner, assistant to the bishop of Pennsylvania, left; Dr. Deborah H. Hines, president of UBE, right; and Dr. Earl H. McClenney, UBE national treasurer. Looking on, far left, is Diane Porter. Barwell, Mike, “Rev. 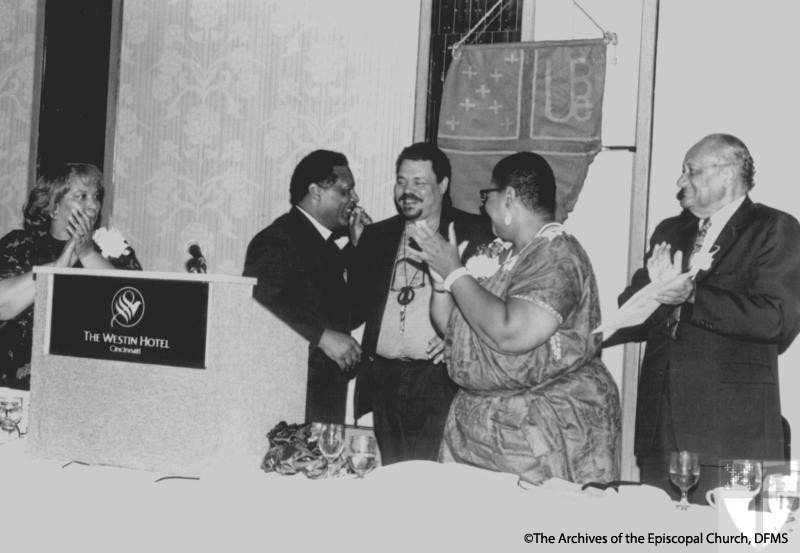 Rodman Honored By UBE, 1987,” The Church Awakens: African Americans and the Struggle for Justice, accessed April 21, 2019, https://www.episcopalarchives.org/church-awakens/items/show/193.